Wild savings of $100 off. While stocks last. The world's smallest 15.6" gaming laptop, the Razer Blade 15, is available in two different models - Base and Advanced. All models have options for the latest 9th Gen Intel® Core™ processors and NVIDIA® GeForce RTX™ graphics, combined with ample memory and fast storage options. The Base Model features a Full HD display up to 144Hz, while the Advanced Model offers Full HD panels up to 240Hz or 4K Touch options, including a new OLED panel for vibrant colors and deep blacks. The precision crafted aluminum chassis is compact and durable, while remaining as thin as 0.70-inch. and color accurate individually calibrated displays. With a Full HD, 1920 x 1080 display and refresh rates of up to 240Hz, on-screen action is incredibly smooth and fluid. Enjoy colorful and accurate visuals with the thin bezel, factory calibrated 15.6“ display, with support for 100% sRGB color. The OLED 4K, 3840 x 2160 display delivers a blazing fast 1ms response time and a wide color range covering 100% of the DCI-P3 space, while the HDR 400 True Black certification ensures deep blacks and vibrant colors. World's smallest gaming laptop claim measured by footprint (length x width) as of December 3, 2018 comparison of 15.6" Windows 10 clamshell laptops with discrete graphics GeForce GTX 1060 or higher available on the market. 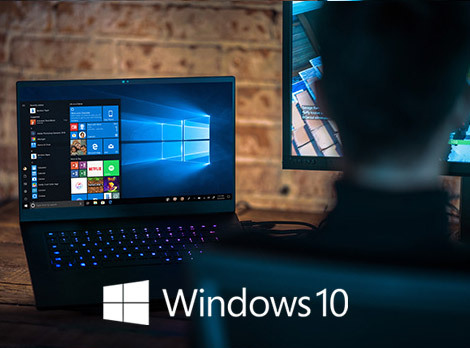 15.6" Windows 10 clamshell laptops with discrete graphics GeForce GTX 1060 or higher available on the market. Both the Base Model and the Advanced Model of the Razer Blade 15 gaming laptop are now available with a 9th Gen Intel® Core™ i7 6 Core processor paired with NVIDIA® GeForce RTX™ graphics. A potent combination capable of simultaneously playing and streaming the latest games including support for real-time ray tracing, or powering through creative tasks with ease. Supported by fast and upgradeable dual-channel memory, the world's smallest 15.6" gaming laptop is available in two tiers - a Base Model with dual storage capable of supporting a SSD for speed and a HDD for capacity, or the Advanced Model with a pure SSD solution in a thinner chassis. 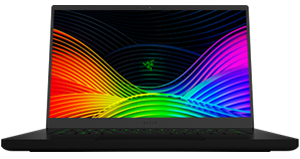 The Advanced Models of the Razer Blade 15 utilizes a custom vapor chamber and cutting-edge thermal materials to efficiently and quietly dissipate heat for maximum performance and user comfort. The Base Model features a bespoke heat pipe system, capable of handling the thermal needs under the heaviest of loads. Directly connect up to three external displays for an expansive workspace through Thunderbolt™ 3, Mini DisplayPort, and HDMI. Complete the setup by connecting desktop peripherals to the three USB-A ports, and get Gigabit Ethernet on the Base Model. The Advanced Model with 9th Gen Intel® Core™ processor steps up the USB speed to 10Gbps and features Wi-Fi 6 AX200 for wireless speeds up to 2.4Gbps. 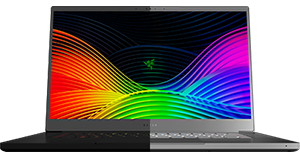 The Base Models of the Razer Blade 15 features a single-zone backlit keyboard powered by Razer Chroma™. Choose from 16.8 million colors to fully illuminate each key. The Advanced Models of the Razer Blade 15 is equipped with per-key lighting powered by Razer Chroma. Each key can be individually assigned a color, allowing for maximum customization and effect options. Connect a wide range of devices to the Razer Blade to get more out of your experience. Output up to 3 external displays, and plug in mice, keyboards, headsets and more via the three USB-A ports. World's smallest gaming laptop claim measured by footprint (length x width) as of December 3, 2018 comparison of 15.6" Windows 10 clamshell laptops with discrete graphics GeForce GTX 1060 or higher available on the market. 1PC hardware requirements may vary for games on Windows 10. Games sold separately. 4K functionality available with supported games, monitors, and graphics chips. DirectX 12 only available with supported games and graphics chips. *Compared to Mac and Chromebook. PC hardware capabilities vary depending on device. Check PC to determine graphics chip compatibility. Thunderbolt and the Thunderbolt logo are trademarks of Intel Corporation in the U.S. and/or other countries. Intel, the Intel logo, the Intel Inside logo and Intel Core are trademarks of Intel Corporation in the U.S. and/or other countries. Copyright © 2019 Razer Inc. All rights reserved. Razer, For Gamers By Gamers, and the triple-headed snake logo are trademarks or registered trademarks of Razer Inc. and/or affiliated companies in the United States or other countries. All other trademarks are the property of their respective owners. Actual product may differ from pictures. Information correct at time of printing.